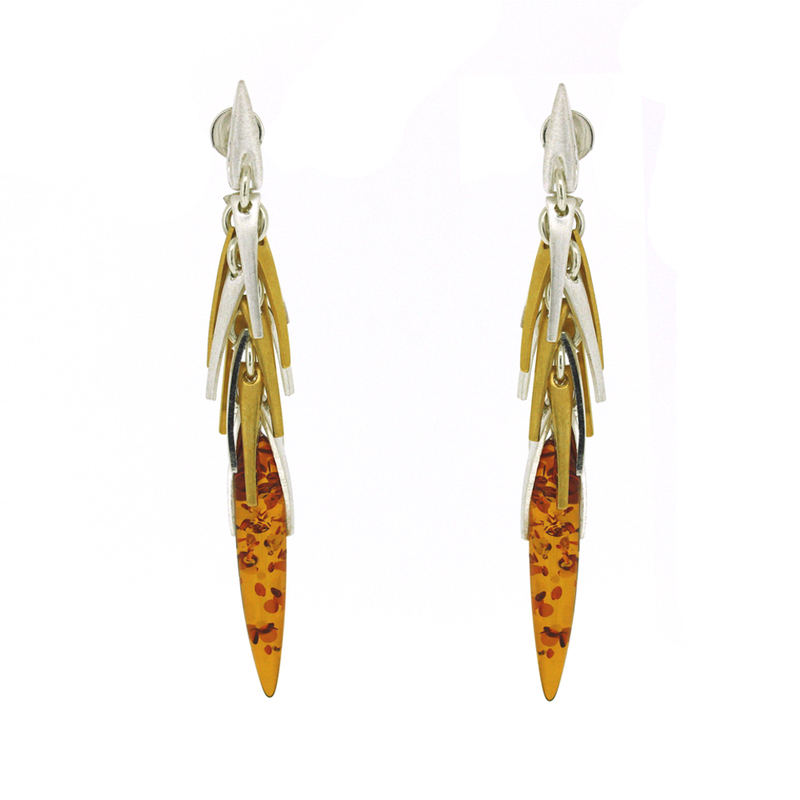 Like a delicate shower of rain in Autumn this matt silver and rose gold plating accentuates the unusual raindrop of amber on these gorgeous amber earrings. These earrings measures width 8mm, height 60mm, depth 8mm. All measurements are approximate and measured at widest/longest point. These earrings are crafted in Sterling Silver some sections with Gold Plating.